The prevention of injuries is fundamental for persons in sports. To develop prehabilitation strategies, it is vital to understand the musculoskeletal basics and the characteristics of specific sports. 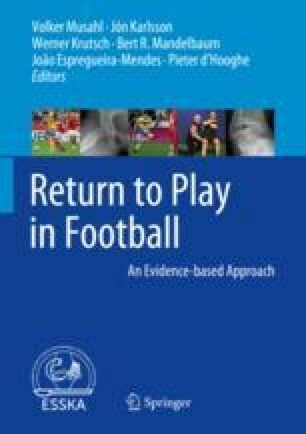 In football, there are potential differences and considerations to be made with regard to the standing leg and shooting leg, notably, musculoskeletal adaptions through asymmetric muscle and neurophysiologic changes and adaptations of the pelvic-leg axis. After injury, the individual rehabilitation protocol is crucial to guarantee a smooth, long-term return to sports. In order to facilitate the decision as to whether it is advisable to play again, it is necessary to rely upon process- and function-based criteria that help the medical team to accompany the player on an individualized step-by-step rehabilitation process.